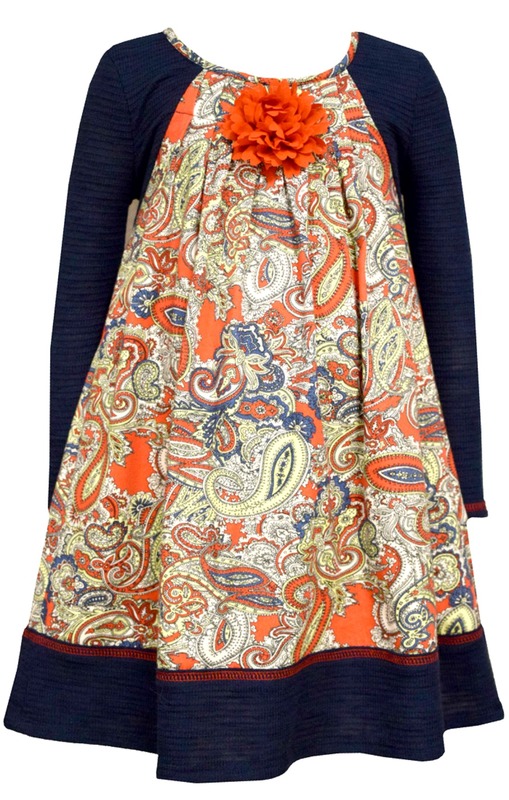 Beautiful girls float dress in sizes 7 - 16 features pretty navy paisley print with knit trims, contrast stitching and flower accent at neck. Machine wash. Imported.